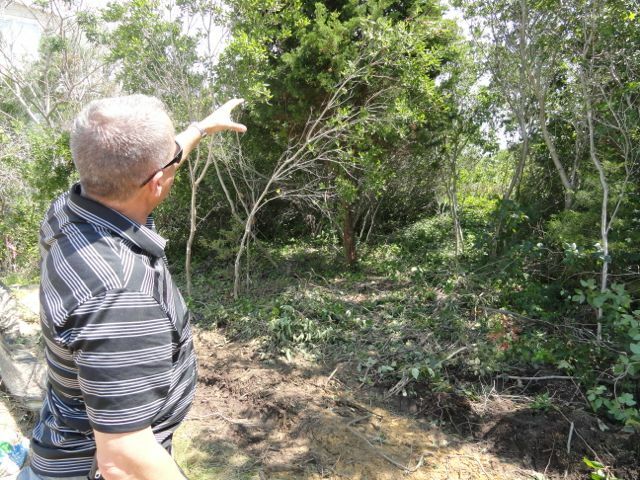 The Christian Brothers, a general contractor and a tree service company received notices of violation Thursday for removing vegetation from the dunes in front of the former Christian Brothers retreat without receiving prior approval. 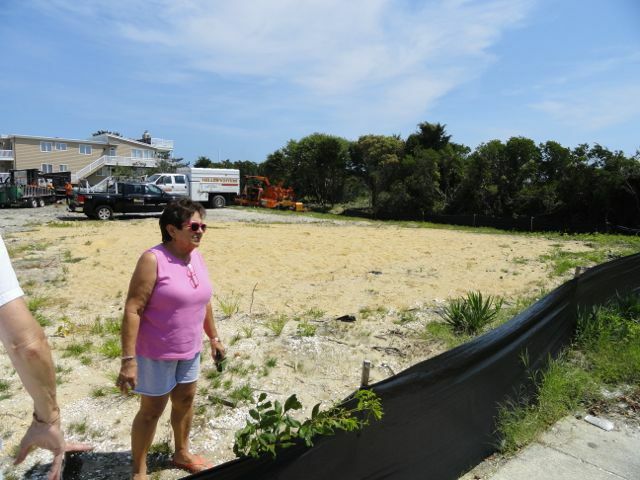 When neighbors looked across Central Avenue at the Hell Fighters and their wood chipper backed up against the dunes on Thursday morning, they sensed something might not be right. Nearby resident Rita Warren said “people would die for this in front of their houses” of the protective dunes and vegetation in front of the former Christian Brothers Retreat site on the 3000 block of Central Avenue. 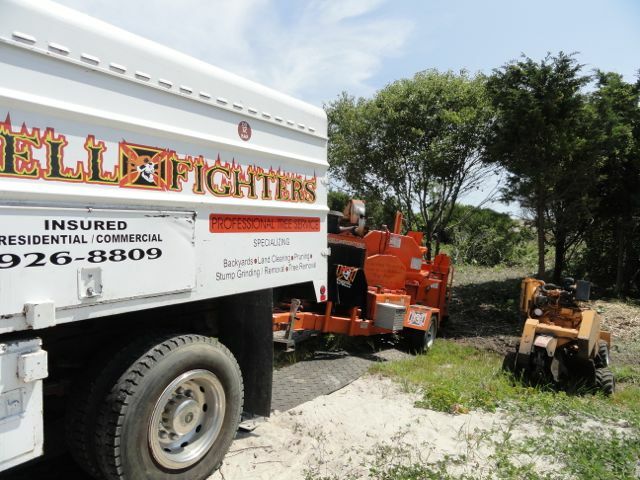 A work crew from the Hell Fighters Professional Tree Service was removing vegetation from the dunes behind the vacant beachfront lots between 30th and 31st streets that used to be home to the De La Salle Christian Brothers Retreat. The neighbors called another neighbor who immediately called police and the Ocean City code enforcement officer. The public officials were able to stop what appeared to be the start of an attempt to trim a path onto the dune. The Christian Brothers have approval to build four duplexes on the property. Three of the properties are for sale, and the fourth will be retained by the Brothers and is in the construction permitting process, according to Lou Marzilli, the general contractor for the project. Lou Marzilli points out intended work to remove dead growth. 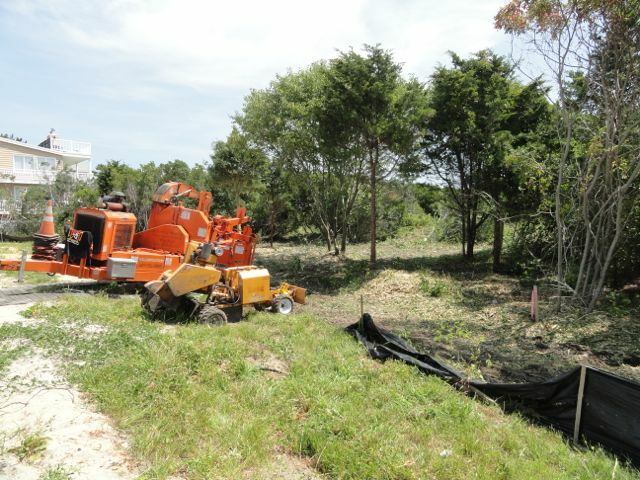 He said the tree service was instructed only to clear dead growth from the perimeter of the property. “But I take full responsibility,” Marzilli said. Marzilli had met with Ocean City Code Enforcement Officer Bryan Cottrell at the site. Marzilli Construction, Tim McManus of Hell Fighters and the Brothers of the Christian Schools received notices of violation, according to Ocean City Zoning Officer Ken Jones. Sand Dunes. It shall be unlawful for any person to alter, damage, destroy, disfigure, or walk upon any sand dune as well as for any person to operate, or permit to be operated upon any sand dune any vehicle or construction equipment, without first obtaining the approval of the Construction Code Official. Where a development permit is approved under this Chapter, the Construction Official shall establish standards under which the applicable, or any of his agents or employees may take any action to alter, damage, destroy, disfigure, or walk upon, or permit any vehicles or construction equipment to be operated upon any sand dune on the subject property or adjoining property. In granting such permission, and establishing such standards the Construction Official shall seek to achieve the purpose and intent of this Chapter, which is not to increase the potential flood damage. Alternation, removal, cutting or burning of any dune vegetation, sand fence or such other types of dune stabilization devices is prohibited without the prior written approval of the Construction Code Official. The notified parties will have five days to supply the city with a report on the damage from a qualified environmental specialist that includes a recommendation for remediation. The city will then make a decision on how to proceed from there, Jones said. Joe Seldner, a spokesman for the state Department of Environmental Protection, said Friday that unless excavating were involved, the matter typically would be considered a local issue. But Jones said part of the environmental specialist’s work would include consultation with the DEP. The construction project requires a Coastal Area Facility Review Act (CAFRA) permit from the state. Marzilli said vegetation was removed by pruning but not uprooted. At the site on Friday morning, nearby resident Rita Warren was walking away with bayberry and holly branches. The dunes include a stand of cedar and other small trees. She noted that beachfront properties behind the healthy dune system on that part of the island were unscathed by Superstorm Sandy in October 2012. “People would die for this in front of their houses,” she said.